First week back and Cattaneo Commercial have already completed the sale of two properties. Firstly, the sale of 2 Princeton Mews in Kingston, a 1,470 sq ft office building has been completed to an owner occupier. 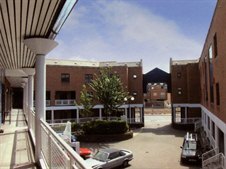 There are two further units available for sale or to let in this attractive courtyard development. For further information please contact Andrew Armiger on 020 8546 2166. The second transaction was the sale of Fourways House in Whitton, a mixed commercial/residential ground rent investment with consent for conversion of the vacant first floor offices into 3 flats.